We were a little pushed for time again yesterday evening but managed to squeeze in a walk along Llanelli foreshore. Conditions were positively balmy with a light sea breeze keeping temperatures just so and allowing us to rack up another couple of miles for our #walk1000miles challenge. Whilst we're on the subject I haven't forgotten that an update post is long overdue and, with the half way point rapidly approaching, rest assured that one will be on its way very soon. I'm probably as eager to discover our current tally as anyone! But I digress. 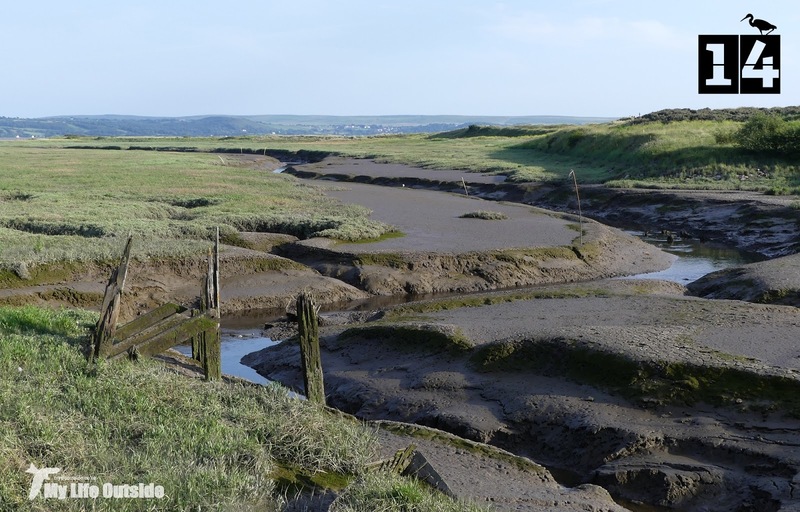 This entry is all about #30DaysWild and if you like mud then low tide at Llanelli foreshore is the place to be. 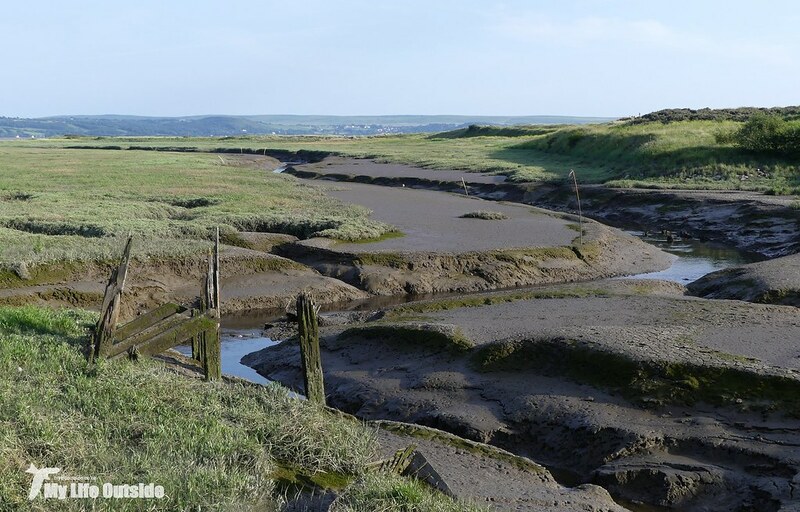 There's miles upon miles of the stuff which is one of the reasons this estuary is so favoured by wading birds, even if they are a tad distant at times like these. Nevertheless we did manage to spot one Little Egret and the exposed marginal vegetation was a big hit with Linnets, Skylarks and Meadow Pipits alike. Combine that lot with gangs of juvenile Starlings and calls from Swallows nesting nearby and we ended up with quite the audio backing track. 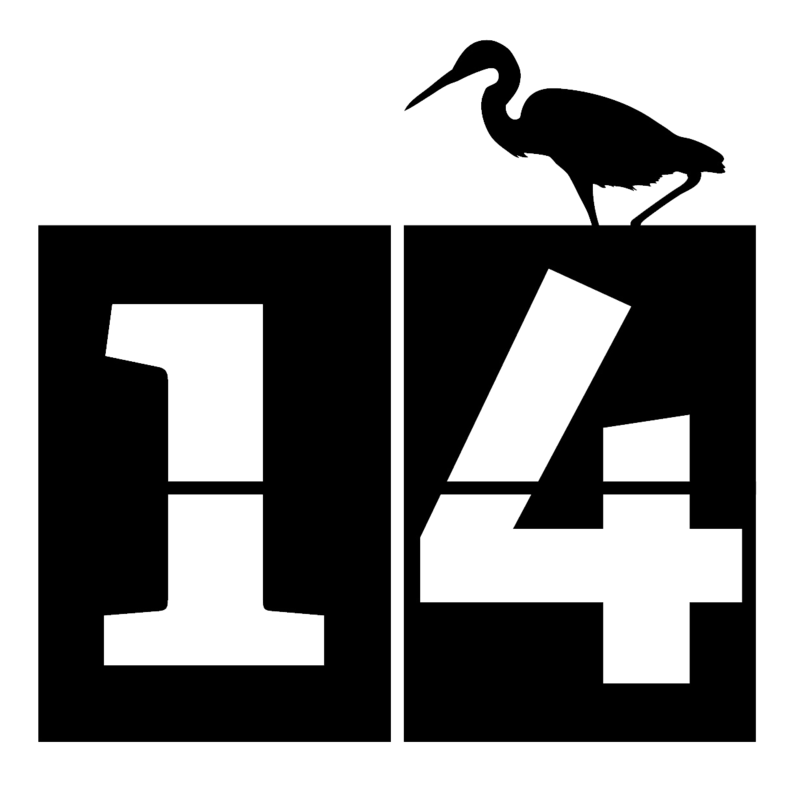 And that's without including any Gulls. 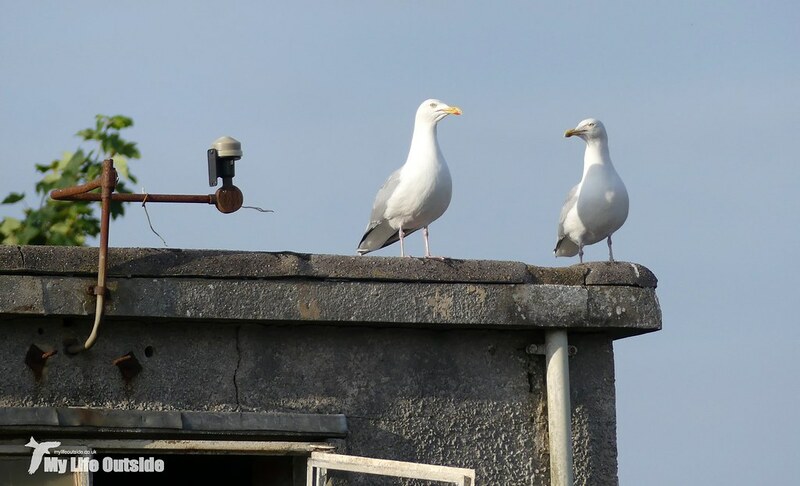 This being the seaside there were plenty of Black Headed and Lesser Black-backed Gulls present but the highest concentration of Herring Gulls were to be found on the roof of an abandoned factory set back a little from the coastal path. It's construction looked absolutely perfect as a breeding colony and it didn't take long to spot two groups of fledglings walking the ridge-line. Now I'm fully aware that juvenile Gulls aren't going to be to everyone's taste but personally, I can't get enough of them. I think it all stems back to our rescuing of one a couple of years ago at Conwy castle because since then I haven't been able to pass an industrial building at this time of year without checking for nests. Of course with many potential predators around the parents were on their guard and as soon as they saw me the entire colony erupted. As you can probably tell from the ever so slightly over zoomed image above I was still miles away but that didn't seem to matter. Interestingly they didn't appear to mind Emma's presence anywhere near as much so they've either got an issue with cameras, men or possibly just me. Either way I wasn't going to argue with these two bruisers on security detail. It would have been fantastic to finish off with a sunset but alas a bank of threatening cloud rolled in at the most inopportune of moments. Never fear though as I have a sneaking suspicion that day 15 may have that subject well covered.